When not taken literally, ascension represents a point in history where an entire civilization undergoes a spiritual evolution that so many prophets, masters, and avatars had foreshadowed before. 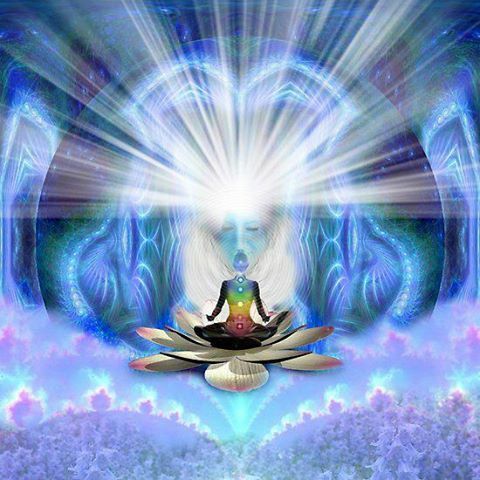 Ascending is more that life is focusing its attention on anchoring the highest vibration within your field so you can support the awakening of others, while establishing the proper energetic alignment that brings your destiny to you, instead of you needing to chase after it. While a new career, greater abundance, a move to a new location, radiant health, or even a new relationship are all creations that can be chosen in a quantum 5D reality, it cannot be confused with what occurs as you enter the 5th dimension. While you are able to feel more joy, experience greater synchronicity, be healthier and more integrated, and manifest abundance in magnificent ways throughout the 5th dimension, entry into 5D reality can often seem confusing, disheartening, and often emotionally or physically debilitating. Through this process, it’s crucial to remind your heart that it is not dying or being left behind, but dissolving into the light of unity consciousness. At this stage, it is important to realize how you are not the one in charge of letting go, as many egoic tendencies and patterns are sure to dissolve as 5D reality emerges. Instead of trying to offer love as a way of clearing something out of your field, offer yourself the support, encouragement, patience, compassion and understanding it needs, in order to survive the shift you were always destined to make. While you are destined to successfully make this shift in one way or another, loving what arises invites the most joyful and heart-centered timelines of ascension to be accessed so you can embrace the evolution of your journey much like a flower enjoying the miracle of blossoming – one petal at a time. Instead of trying to control the outcome of your experiences, you may find that you no longer resonate with the activities or substances that limit or dilute your expanding consciousness, which anchor into form through a life of inspired healthy choices. Whether you are called to love the one who is afraid to die, acknowledge the one who just ‘wants to go home,’ or embrace the one who doesn’t want be here anymore, each moment of self-love helps to unravel compulsive or addictive patterns out of your field so you can resonate with healthier choices without a belief that you’ll be missing out on more exciting experiences down the line. Once settled into 5D reality, spiritual communities will be rooted in health, balance, and well-being; celebrating heightened spiritual experiences as a celebration of energetic and emotional alignment, instead of chasing after existential breakthroughs while looking away from the imbalanced tendencies throughout their personal lives. This can be as simple as finding time to be still and quiet several times throughout your day. Again, we are not anticipating any particular outcome or response, since loving what arises assists you through the emptying out process, instead of guaranteeing the arrival of any particular feeling, or any specific end point. One moment of stillness, confession of honesty, and “I love you” at a time, you enter the 5th dimension with openness, grace, and ease.